Drawing by the Pound! 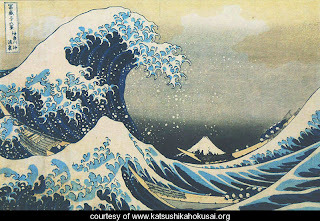 : Hokusai on Drawing/ Hokusai y el Dibujo. From the age of six I had a mania for drawing things. -of animals, plants, and bees, birds, fishes and insects. I shall have made a little more progress. - be it but a line or a dot - will be alive. Desde la edad de 6 años tenía manía por dibujar cosas. no merece la pena ser tomado en cuenta. - de los animales, las plantas, y las abejas, los pájaros, peces e insectos. habré progresado un poco mas.